Does Renaming Ahmedabad 'Karnavati' Have Anything to do With the City's History? If a place named Karnavati existed near Ahmedabad at all, it was at best a small township outside the walled city. On November 7, 2018, deputy chief minister of Gujarat Nitin Patel announced that the state government was contemplating changing the name of Ahmedabad to Karnavati while appreciating the Uttar Pradesh government’s move to rename Faizabad as Ayodhya. 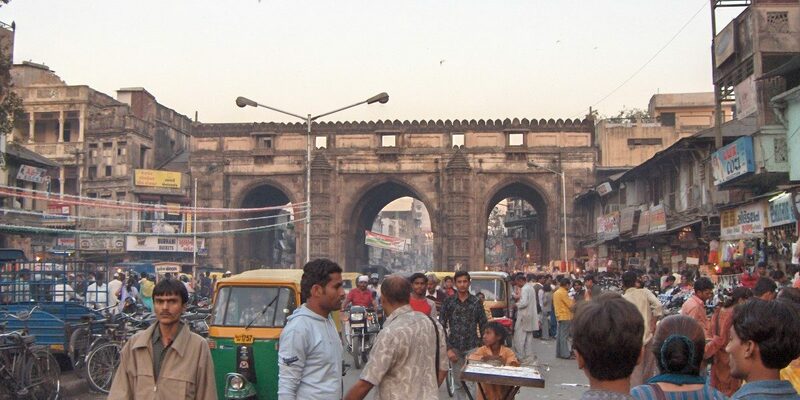 Karnavati, the site of an erstwhile city supposedly near Ahmedabad, derives its name from Karnadev Solanki (a Chalukya dynasty ruler), whereas Ahmedabad is named after Ahmad Shah I, the founder of Ahmedabad city and the most well-known king of the Gujarat Sultanate. Now, Vijay Rupani, chief minister of Gujarat, has echoed his deputy’s statement – adding that “concrete steps will be taken after looking at it from legal and all other angles”. The support for rechristening Ahmedabad as Karnavati by the Hindu right-wing in Gujarat is not recent. The BJP-led Ahmedabad Municipal Corporation (AMC), in May 1990, had passed a resolution to this effect. Later, in September 1995, the state government headed by the BJP passed a similar resolution. Both the resolutions have failed to be converted into reality. It is not an aberration to find walls of several public institutions in Ahmedabad painted with demands to change the city’s name to Karnavati. The Vishwa Hindu Parishad (VHP) has, in fact, erected banners in many localities of the city welcoming people to ‘Karnavati city of Hindu Rashtra’. As former chief minister of Gujarat, Narendra Modi in his several public speeches repeatedly referred to Ahmedabad – the economic hub of Gujarat – as Karnavati in alignment with his image of Hindu Hriday Samrat. The ‘A’ in AMC’s logo now stands for the colloquial ‘Amdavad’, diluting the term ‘Ahmad/Ahmed’ – an Arabic name meaning ‘greatly praised/thanked’. From the Karnavati Club (an elite club on the S.G. Highway in Ahmedabad) to the Karnavati Express (a train that runs between Ahmedabad and Mumbai), the term Karnavati has been heavily imposed on the public imagination of Gujarat, especially since the 1980s. It is against this backdrop that it is pertinent to ask: What is the history of Karnavati? How authentic is that history? Prior to the establishment of Karnavati near the current site of Ahmedabad, a Bhil (tribal) woman called Asha founded Ashawal (also known as Ashapalli) either in the late ninth century or the early tenth century. Although the exact location of Ashawal is popularly believed to be at present-day Astodia (an area inside the walled city on the eastern side of Sabarmati’s riverbank), the 16th-17th century medieval Indian historian, Nizamuddin Ahmad in Tabaqat-i-Akbari (volume 2) reveals that Ashawal was somewhere close to Sarkhej, on what is now the western side of Ahmedabad. Despite these contested claims, one can say with some certainty that Ashawal, indeed, preceded the existence of Ahmedabad city and was in the vicinity of its geography. The 14th–century Jain scholar Acharya Merutunga in his seminal Sanskrit text Prabandhachintamani claims that King Karnadev conquered the Ashawal ‘village’ (not town or city) to establish Karnavati with the construction of a Karnasagar lake and a temple for Karneshwara Deva during the last decade of the 10th century. In fact, claims have been made that the now gentrified Kankaria lake (originally called the Hauz-e-Qutub) is where the Karnasagar lake was situated – although the evidence to verify this assertion is either non-existent or imaginary. Later on, a minister in the Chalukya dynasty called Udayan built Udayan Vihar, a Jain temple, in Karnavati according to Acharya Merutunga. Assuming that Ashawal existed on the western side of the current-day Ahmedabad near Sarkhej and if Karnavati was established on the ruins of Ashawal, then Karnavati cannot represent the geography of Ahmedabad under the Gujarat Sultanate period since the western side of Ahmedabad became accessible only in 1892 with the construction of Ellisbridge over the Sabarmati river. If Ashawal was on the eastern side of Ahmedabad in Astodia and Karnavati was established on top of it (which can be claimed based on a stone slab found near the Jamalpur gate in 1880 with an inscription mentioning Karnavati), then it would be prudent to classify Karnavati as a small township – given the lack of historical sources to verify the existence of Karnavati’s socio-economic activities or a large population. Alexander Forbes, a colonial officer with whom the Ahmedabad elite collaborated to build the Gujarat Vernacular Society, in his 1856 book, Ras Mala, is also unsure of the geographical location of Karnavati. Achyut Yagnik and Suchitra Sheth in their book Ahmedabad: From Royal city to Megacity, posit that “it is not clear if Karnavati was another name for Ashapalli (Ashawal) or a neighbouring town or simply a military outpost”. Surprisingly, the influential Persian history of Gujarat, Mirat-i-Ahmadi, written by Ali Muhammad Khan in the 1750s, makes no reference to the existence of Karnavati prior to the foundation of Ahmedabad. Tommaso Bobbio in his recent work, Urbanisation, Citizenship and Conflict in India: Ahmedabad 1900-2000, writes that ‘historical sources and chronicles of the city (Karnavati) are vague and [do] not allow us to ascertain either the dimension or the exact location’ of Karnavati. Even if Karnavati existed near the present-day Ahmedabad, the lack of historical evidence is enough to suggest the relative unimportance of the township in the Chaulukya administration – whose capital Anhilwad (now Patan) – was a few hundred kilometres away in the northern Gujarat region. Hence, Karnavati, at best, represented a small township like various other townships which have been subsumed into the boundaries of current-day Ahmedabad such as, Sarkhej, Kochrab, Astodia, Kalupur, Dariapur, Jamalpur and Raikhad, to name a few. After a century-long rule by the Delhi Sultanate, Ahmad Shah I, in 1411, decided to establish Ahmedabad on the eastern bank of the Sabarmati river due to strategic and commercial reasons. Under his rule, the city rapidly grew because of his policy to privilege the Vaishnav and Jain mahajans/nagarsheths to facilitate trade; these foundational principles of Ahmedabad made it an economic powerhouse of western India for close to three centuries. Legends about Ahmad Shah being a just ruler are abundant, which appear to be exaggerations, given his questionable secular credentials: he was the first ruler of Gujarat to introduce the regressive jiziya tax. Apart from economic development, Ahmedabad, during the Gujarat Sultanate period, developed marvellous architecture that enabled public interaction – represented by structures such as the city boundary walls with numerous gates marking the city’s entry and exit points, Bhadra Fort, Jama mosque, Sidi Saiyed ki Jali, Sarkhej Roza and Kankaria lake, among several other such sites. It was these exemplary monuments built during the Gujarat Sultanate’s rule that led Ahmedabad to win the much-celebrated status of UNESCO’s World Heritage City – India’s first – in 2017 after decades-long efforts to preserve the old city’s heritage. According to the 2017 operational guidelines of UNESCO for implementing the World Heritage Convention, to change the name of a property listed under the World Heritage Site, the proposal has to go through the committee at UNESCO for approval. Interestingly, the nomination dossier sent by AMC to UNESCO mentions that ‘this land (Ahmedabad) was also in proximity to smaller, older existing settlements […] as Karnavati’. Karnavati was not on the site of the walled city established by Ahmad Shah but instead on its outskirts in the ‘south-west’ direction, the document tells. As demonstrated above, there is robust proof as to the existence and location of Ashawal, which is not the case with Karnavati. It is astonishing that the Hindutva discourse is privileging an uncertain geography instead of a town established by a tribal woman. Tommaso Bobbio, in his previously mentioned book, correctly notes that the existence of Ashawal may blot ‘the image of a glorious Hindu past’ to the frustration of the Hindu nationalists in power. Indeed, proclaiming Ahmedabad as Karnavati based on the name of a warrior Rajput king who patronised Jainism can help the BJP re-capture the lost Rajput votes in the wake of the Padmaavat movie controversy. Simultaneous to the agenda of sparking religious passions among the upper-caste Hindus is an ulterior motive to deny Muslims their due in the making of Ahmedabad’s syncretic heritage and culture. 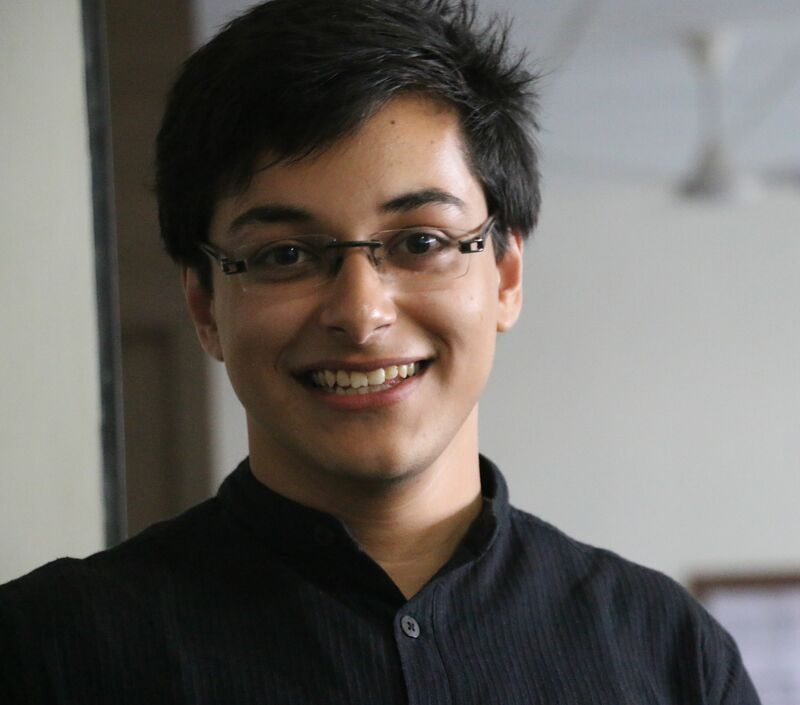 Sharik Laliwala, an alumnus of King’s College London and Ahmedabad University, is affiliated to the Trivedi Centre of Political Data at the Ashoka University. He is based in Ahmedabad and tweets on @sharik19.